I’m starting to put the final touches on a SphereBot I’ve been working on for the last few weeks. Construction has gone smoothly as a result of studying the variety of pictures available from other builders but I did run into a challenge figuring out how to attach the cups that hold the sphere in place. Below is a picture of the robot as it stands now with cups attached. The freely rotating cup on the right wasn’t a problem. It’s mounted on a 5/16″ carriage bolt with a compression spring pressing it against a lock nut. 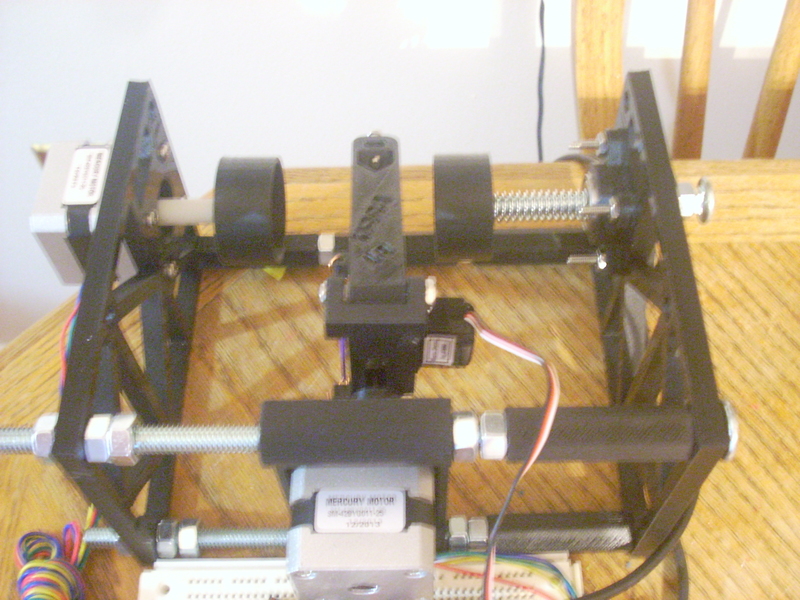 The cup on the left that attaches to the stepper motor was a little more of a challenge. After some investigation I realized what I needed was a mounting hub. These are available from a variety of sources, but I just wanted something simple and didn’t want to wait for delivery so I decided to work with what I had on hand. I started with a 1″ nylon spacer designed for a #10 bolt. These have a 3/8″ outer diameter and a .194″ inner diameter, which fits perfectly over a 5mm stepper motor shaft. For the set screw I used a rotary tool to drill a 3/32″ hole in the side of the spacer about 1/8″ – 1/4″ from the end. This is just large enough to tap using an M3 screw, which can also serve as the set screw. Alternatively, once the hole is tapped you can use a hex head machine screw of the same size as is more typically done. Finally, I used a 6mm tap to thread the other end of the spacer, allowing the cup to be mounted using an M6, 10mm screw. 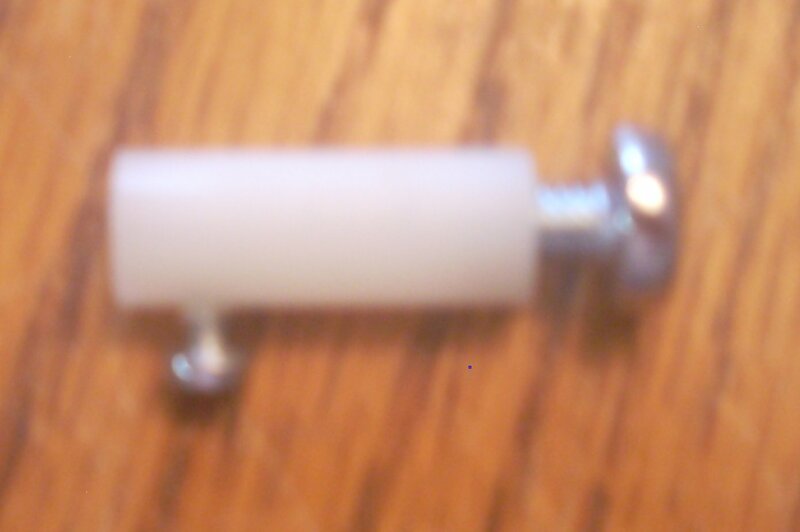 The final result with the set and mounting screw in place is shown below. I’m really happy with the result, as it turned out better than I expected. Surprisingly, the set screw turned out not to be necessary for the Spherebot because drilling the hole for the set screw deformed the nylon enough to allow for a friction fit, but this isn’t something I’d count on happening again.